Seoul isn’t all concrete apartment blocks. From ambitious mega-projects to historic landmarks to repurposed materials, see the city’s most innovative spaces in a different light when you visit in the evening. Seongsu-dong is an industrial neighborhood that was once filled with small warehouses and factories. Built in the 1960s, Daerim Changgo was among the most important of these. During its history, it served as a rice mill, a warehouse and then a concert venue until last year, when its cavernous interior was opened to natural light via modifications in the roof. 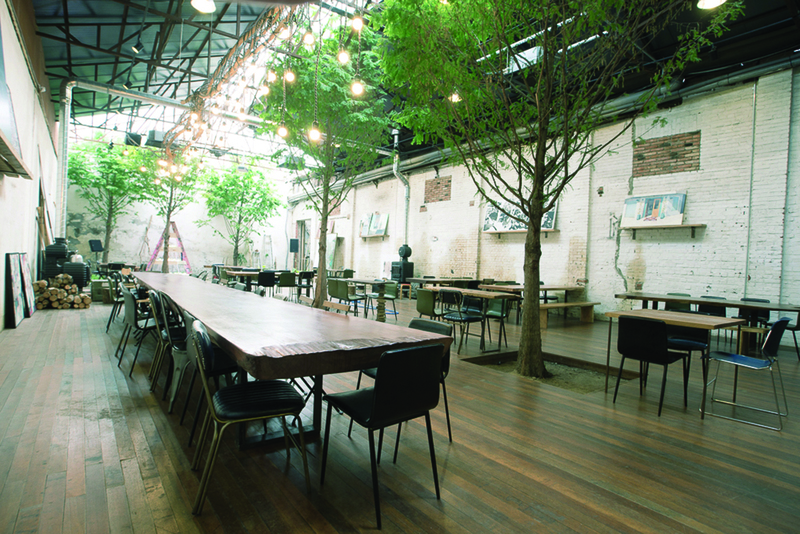 Now, it is home to one of the city’s most atmospheric cultural spaces. A café, art gallery and design shop are all housed inside. In addition to regularly scheduled exhibitions, the former warehouse also hosts several impressive kinetic sculptures, their interlocking parts reminiscent of enormous wooden insects or steampunk machines. 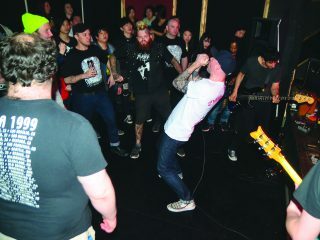 Events are also plentiful. Starting Oct. 26, an exhibition of photographer Ahn Woong-chul’s evocative landscapes will explore the relationship between music and image – and will also be one of the only exhibitions in the city open until late. 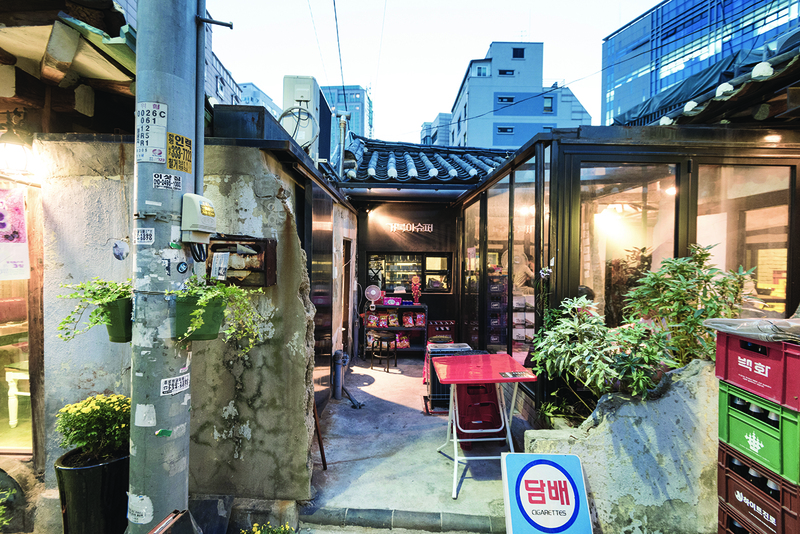 Seoul’s newly lovely neighborhood Ikseon-dong is a block of picturesque alleys filled with repurposed hanok that house bars, restaurants and cafés. Among these, Sikmul is one of the most eye-catching. If you manage to get a seat, this combined bar/coffee shop/art space is one of the most unique places in the city to enjoy an inexpensive bottle of wine or a late-night coffee with dessert. The young creatives of Desi Architects took four decrepit hanoks and knocked down the walls between them, replaced the roof with transparent glass and used the roof tiles as surface texturing for the interior. The inside is a mishmash collection of Western designer chairs and Eastern mother-of-pearl inlay tables. 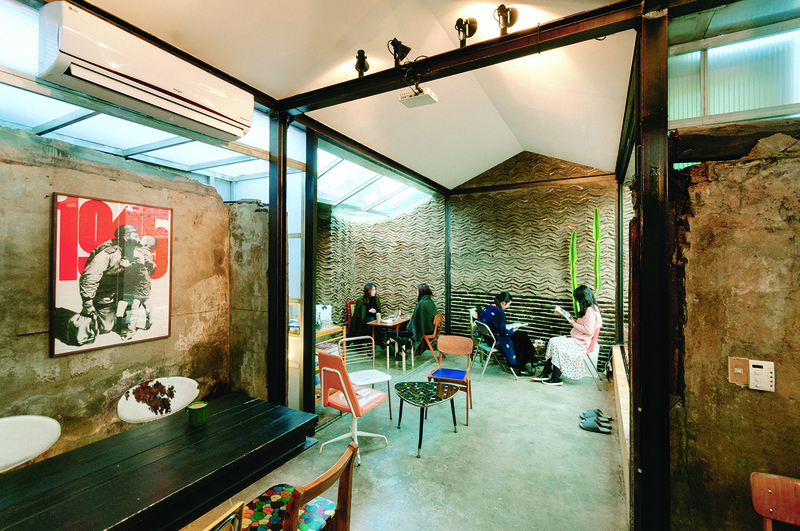 Despite the transformation, the space retains the telltale atmosphere of a hanok: filled with columns and lines, breezy and open to its surroundings while still feeling cozy and intimate. Around the corner from Sikmul is Geobuki Super, whose artfully crumbling facade gives another meaning to the term “hole in the wall.” Another Desi Architect project, this watering hole – whose name means “Turtle Supermarket” – is a relaxed bar disguised as a countryside supermarket. Visitors can stop by to grab a beer from the fridge (Korean beers only, but they have 7brau) and ask the owners to fry up some dried fish or squid over a briquette. The crumbling old walls, crowded shelves and ramshackle stacks of milk cartons may make it look like a convenience store, but the seating area has been cleverly outfitted with unobtrusive black frames and glass. This mix of chic with vintage lets you enjoy the old days while maintaining the sophistication of the city (and minimizing encounters with bugs and dirt). One of Seoul’s most recognizable pieces of new architecture is Some Sevit, the three enormous steel-and-glass structures that sit daintily on the water of the Hangang River. Like spaceships, the three islands are incongruous, fascinating and covered in colorful lights. Thankfully, the inside is more recognizably of Earth, filled as it is with shops and restaurants. 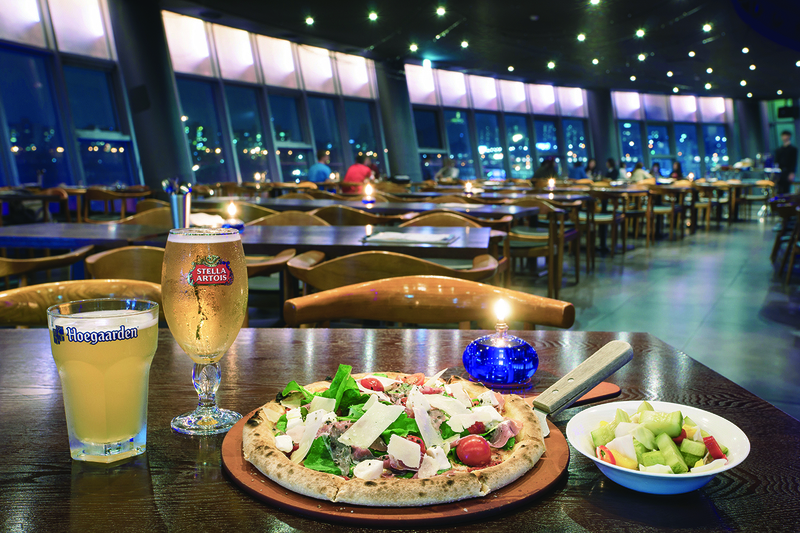 The most fun of these is Vista, a spacious and stylish pub serving imported beers on tap and hearty Western fare like pizza and pastas. It also happens to be one of Seoul’s only waterfront dining spots. Vista provides an uninterrupted view of the skyline on the opposite shore as well as Banpo Bridge. If you’re lucky, you can also catch the “world’s longest bridge fountain” going off, with streams of water erupting from the bridge to dance along with the music that plays in the Hangang River Park.